Fifth Doctor Peter Davison has been confirmed for the Who's at the Playhouse Event - A celebration Doctor Who and 40 years of K9. 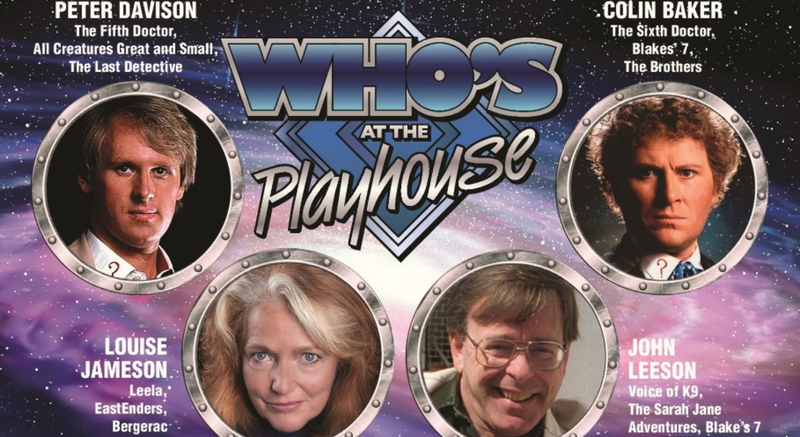 Guests also added to the line-up include Mat Irvine and Jemma Churchill, joining previously announced guests including Colin Baker, Louise Jameson and John Leeson. More information about the event can be seen here. The special event coincides 40 years to the day since the first appearance of K9 in 'The Invisible Enemy' on 1st October 1977.